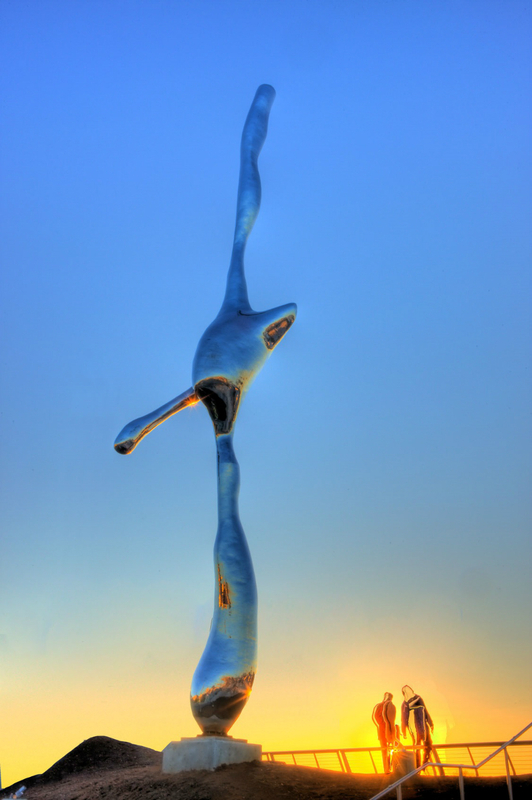 “Breath Song” by Sumakshi Singh. “The Blue Trees” by Konstantin Dimopoulos. Photo by David Brown. “Water #10” by Ren Jun. “F Grass” by Ai Weiwei. 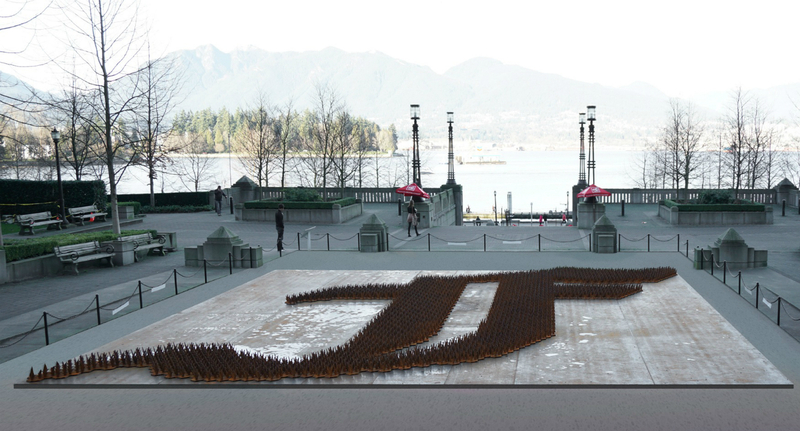 Biennale Snapshots with the Vancouver Symphony celebrates the Vancouver Biennale’s 2014–16 installations. 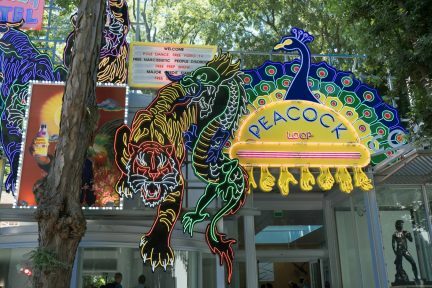 It is the first musical composition to be commissioned by the Biennale. 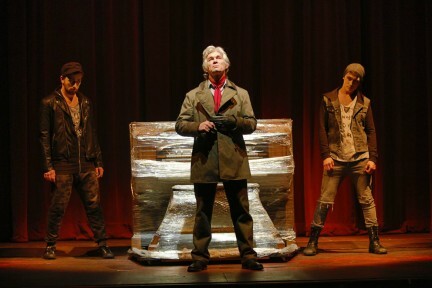 The 25-minute work is set in five movements, the first and second of which are played without pause. As the composer of the work, I chose to pay homage to the Biennale by selecting five different artworks from the exhibition and having each movement act as my musical “snapshot” of the art piece, allowing the visual to inspire the aural. 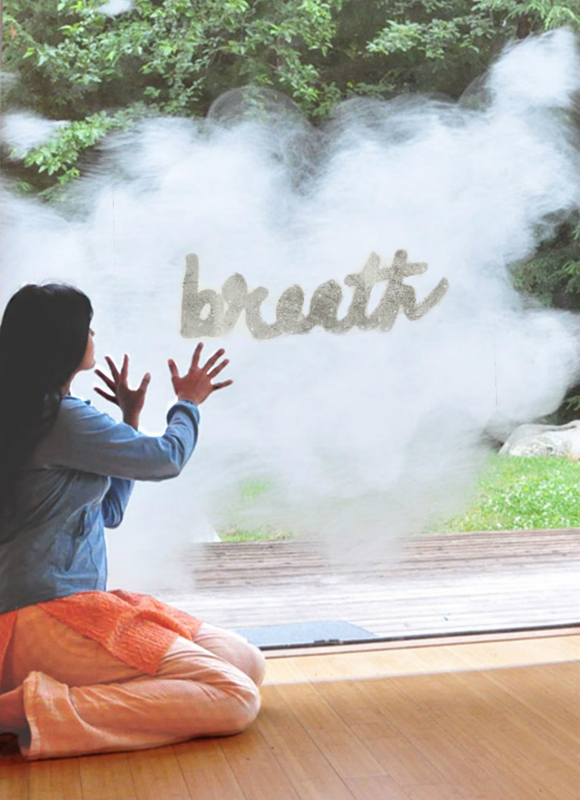 The work starts with “Breath Song”, originally described as a “symphony of 108 breath sounds” and reflecting Sumakshi Singh’s piece of the same name. I have taken only a few of the breath phrases and magnified them for orchestra, so that the entire movement comprises of whispers, breathing into certain instruments, and other ambient sounds that reflect the ephemeral nature of the original. 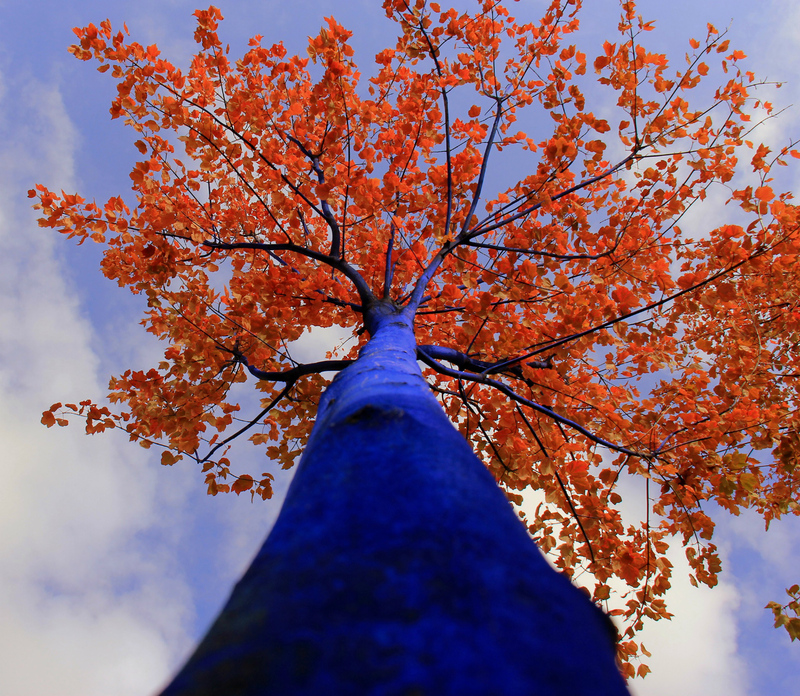 “Breath Song” leads directly into “Tree”, inspired by The Blue Trees of Konstantin Dimopoulos. “Tree” starts off quietly and gently but gradually builds into large waves of sounds that weave in and out of each other. The second half of the movement grows more violent, reflecting the urgency of Dimopoulos’s mission to, through his artwork, bring awareness to global deforestation. 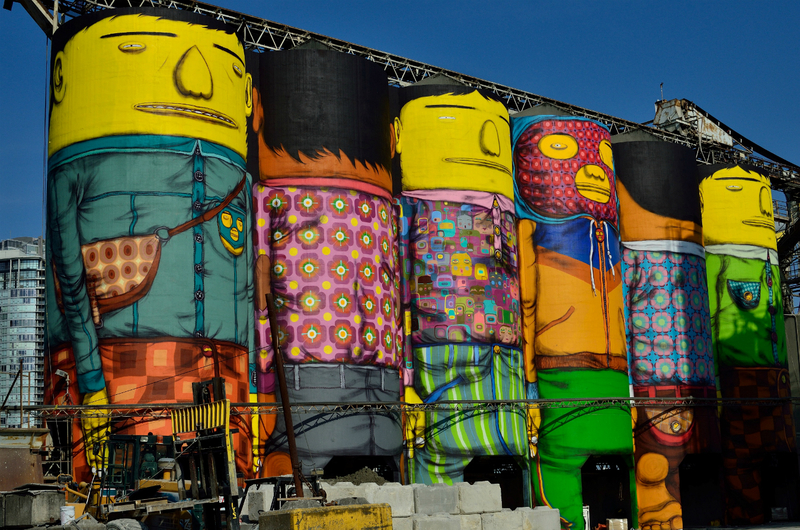 The third movement, “Graffiti Mashup”, pays homage to Os Gemeos’s Giants. It is a mashup of different musical elements that underlie the colorful graffiti: quotations of two Brazilian Tropicalia songs, references to hip-hop beats and licks, and a general, rhythmically-robust movement. 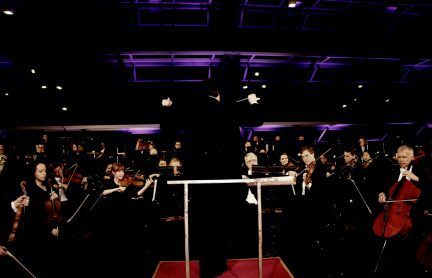 This music is loud, in-your-face, and chaotic—like a hip-hop version of Charles Ives—with elements gradually colliding with each other into a wonderful mess, creating a crazy club-like atmosphere for the orchestra. The fourth movement, labelled “Interludium: Water Rising”, is a short piece that reflects the undulating waves and curves of Ren Jun’s Water sculptures. The beginning is orchestrated to simulate waves flowing in and out, gradually building into lush chords for the entire orchestra. The sound then ascends, all in one gesture from the very bottom to the top, in a big wave that ends with the arrival of water gongs. The last movement, “Grass”, reveals the defiant nature of Ai Weiwei’s F Grass. It features loud, low bass pedal tones in the brass, counteracted by high, nasal woodwinds. 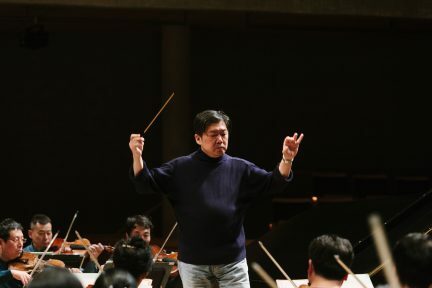 A militaristic fanfare atmosphere is complemented by fast virtuosic passages for strings and woodwinds, releasing the also fleeting and whimsical nature of Weiwei’s work. All elements collide at the end, creating a triumphant close to the piece. The world premiere of “Biennale Snapshots” takes place Sept. 28, 2015 at the Orpheum Theatre.